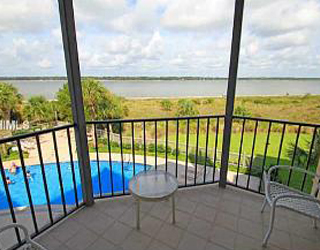 Please send me more information on Shipyard at, Hilton Head Island Thank you. With less than 2000 residential properties, Shipyard is one of the island’s smaller gated neighborhoods. Nestled between Forest Beach and Palmetto Dunes, Shipyard offers an outstanding mix of single-family homes, townhomes and resort-style villas. More than half of Shipyard is comprised of multi-family housing making it an ideal location for both long and short-term rental properties. The private homes and villas are nestled in among tall pines, live oaks and palmettos with peaceful woodland or lagoon views. An architectural review board assures all residences meet current design standards and the Shipyard Property Owner’s Association cares for common areas through annual dues paid by all owners. Shipyard may be comparatively small in size but with award-winning golf, tennis, biking and a gorgeous strip of private Atlantic ocean beach, it’s large on recreation. The unique Shipyard Golf Club features 27-holes of championship golf separated into three distinctive 9-hole courses. The Brigantine, Clipper and Galleon courses play through an abundance of water hazards and offer 4 tee positions to accommodate all levels of play. Two of the three inter-connecting nines are combined for a challenging 18-hole round. The greens are large and well bunkered. The Clipper and Galleon courses were both designed by George Cobb and built in 1970. The Brigantine course was added in 1982 and built by designer Willard C. Byrd. The Van Der Meer Shipyard Resort features 20 tennis courts and has been named in Tennis Magazine’s Top 50 U.S. tennis resorts. The 13 Har-Tru and seven hard courts play host to various tournaments, clinics and summer camps. You can play day or night, rain or shine, since eight of the courts are lit and three are indoors. Located adjacent to the Sonesta Resort, the indoor-outdoor Shipyard Beach Club provides residents and guests easy access to a beautiful wide strip of Atlantic shore. With large wrap-around decks and all the interior furnishings needed to host social events of all types and sizes, Shipyard residents frequently rent the Beach Club for weddings and family gatherings. Originally planned as the sister development of the residential Port Royal Resort, Shipyard was the second plantation community for the Hilton Head Company, a development subsidiary of Findlay, Ohio-based Marathon Oil. Development on Shipyard began in 1970 to compete with Sea Pines hold on the golf and tennis resort market. The main marketing strategy was to attract tennis enthusiasts to Shipyard's new racquet club, directed then by Billie Jean King. 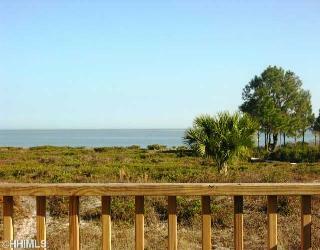 How many active real estate properties are currently listed for sale in Shipyard , Hilton Head Island? Currently there are 32 listed for sale. 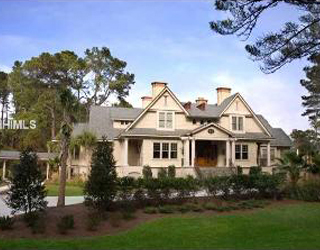 Are there any foreclosures currently for sale in Shipyard , Hilton Head Island? No, currently there are no active listings in Shipyard with a foreclosure status. Are there any short sales currently for sale in Shipyard, Hilton Head Island? No, currently there are no active listings in Shipyard with a short sales status. What is the price range and average price for residential homes in Shipyard ? The price range of the 7 listed homes for sale in Shipyard is between 390K and 685K. The average price is 512K. Click here to view all residential home listings in Shipyard. What is the price range and average price for residential condos and villas in Shipyard ? The price range of the 25 listed condos and villas for sale in Shipyard is between 269K and 485K. The average price is 337K. Click here to view all residential condos and villas listings in Shipyard. What amenities a buyer should expect to find in Shipyard ? What kind of views a buyer should expect to find in Shipyard ? This 800-acre development is located at the south end of Hilton Head and combines residential living with resort vacationing. A small portion of Shipyard touches the Atlantic providing beach access at the residents-only Shipyard Beach Club and the Sonesta Oceanfront Resort hotel. With two gated entrances including one off of Pope Avenue, and another off of the island’s main artery, William Hilton Parkway (Hwy 278), Shipyard is ideally located near Hilton Head’s “downtown” area, Coligny Circle and Coligny Plaza. With 27-holes of golf separated into three distinct 9-hole courses, the world-class Van der Meer Tennis Center and miles of bike paths, Shipyard provides an excellent option for property owners desiring a smaller, secure, south end Island community.